Agree with you. Hasbro just needs to STOP making the obscure figures! They really do! That's the No. 1 way to get figure sales up again (besides lowering the price of figs by a $1 or 2. Sorry - I meant VERY obscure figures (forgot to add in the 'very'). I'm fine with the obscure ones - but there are just some characters that, although they may be somewhat cool, not everybody's gonna buy the ones that appear for a second or so in the films, or the ones that aren't too popular in the EU. 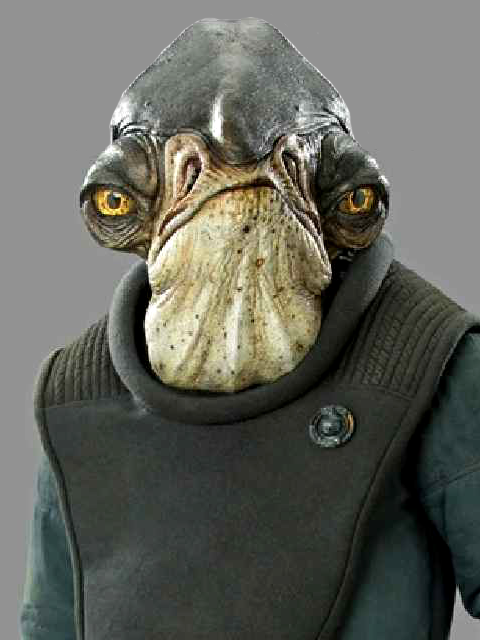 Granted, the Cantina aliens do deserve a place in the line at one point or another. But then there are characters that just don't have a major chance of success on the pegs. But that's just my POV. I say the same for the Saga Legends line - I'm tired of all the lame re-issues (Why is Saesee Tiin STILL in the line ... whattabout Shaak Ti? Or Luminara Unduli? Or Sharad Hett?). As for the packaging, I like the current look. It's rumored to go back to a black/silver vintage-like look, but that's ridiculous considering the packaging was just changed not even that long ago.